Red Maple (Acer rubrum): growing, planting, caring. Easy to grow, even in a pot - you’ll love its colour in the autumn ! A. rubrum is a round-headed tree growing up to 30m tall. In spring, tiny red flowers are borne in erect clusters before the appearance of dark green leaves with whitish undersides. The leaves turn bright red in autumn. Acer rubrum, the red maple, is a tree up to 20 meters high, with a spreading habit, opposite leaves, trilobed, dark green, turning to a beautiful dark red in autumn! 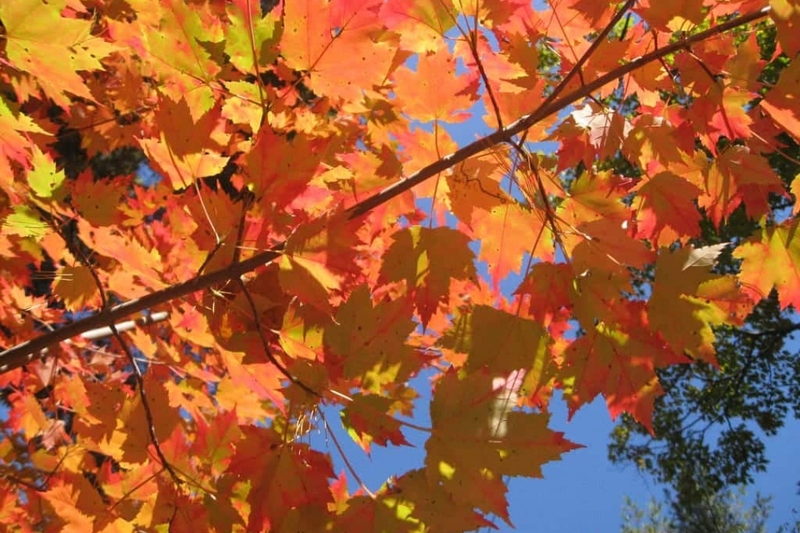 Plant your red maple soil neutral or slightly acidic, cool or wet, in the sun, away from the drying wind. Allow at least six meters near a facade, and 10-12 meters from another tree. Dig a planting hole twice the volume of the rootball, unpack the edges of the hole, plant a stake facing the prevailing winds. Replace the bottom soil first, put the root ball so as to have the collar at final ground level, and finish filling. Attach the trunk to the stake with a suitable flexible link. Tamp, and water plenty. In pots, place a draining layer of non-calcareous gravel or any other coarse aggregate, then place the clod in a mix of loam and decomposed compost. Cover with a mulch of bark. Each year, bring some shredded branch at the base of the tree. There are several parasites of the maple leaves, mites and aphids in particular, but the damage is mainly aesthetic! After two years, remove the stake.